Every famous guitarist who has climbed to the top of the album or single charts will have a varied selection of guitars to ply their trade. 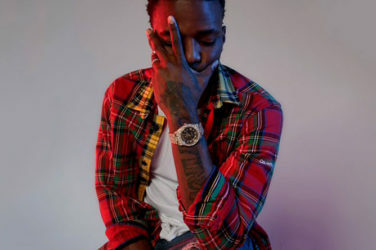 However, there is always one instrument that ends up being closely associated with the person playing them. We take a look at some of the best pairings ever. 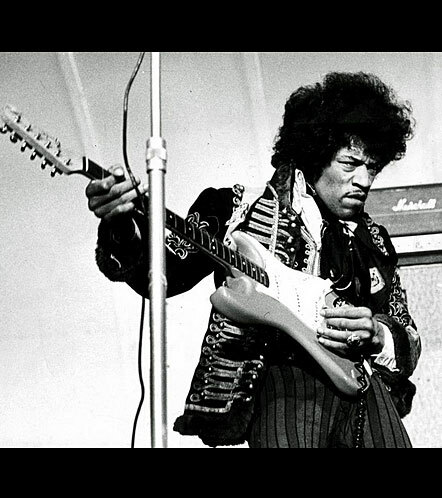 If you saw Jimi Hendrix perform any time after October 1968, you will have seen him play the 1968 Black Stratocaster at least once. After purchasing the guitar, the Purple Haze singer played it during a concert at the Royal Albert Hall, at an appearance at the Atlanta Festival, when he performed at the Isle of Wight festival and throughout his series of Band of the Gypsys concerts. The standout feature of the 1968 Black Stratocaster is the sleek maple fingerboard. Instead of having the neck and fingerboard as one unit, the metal rod of the 1968 Black’s neck is placed at the front and the fingerboard is then glued on afterwards. Everything about Eric Clapton’s 1960 Les Paul guitar screams quality. The mahogany of the guitar’s one-piece back blends perfectly with the maple that makes up the front design. Then there is the hardware. Nickel Grover kidney button tuners provide a simple yet effective upgrade to the guitar, Alnico III magnets give the instrument sublime smoothness and clarity and CTS potentiometers ensure the pickups are routed. 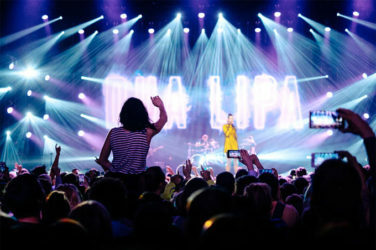 You can purchase similar top-quality potentiometers at Rapid Electronics, if you are looking for quick and easy techniques for improving your trusty guitar. There are so many unique features of the 1965 Fender Jaguar that it is no surprise that Johnny Marr made it his guitar of choice. The shape of the instrument’s neck gives it a profound look, while the likes of small vintage frets and a curved fingerboard radius are subtle effects that make the guitar appear fuller than it actually is. Eager to own a guitar just like Johnny Marr’s? Chicago Music Exchange has recently announced on its Instagram page that it is to sell a series of limited edition Fender Jaguar guitars in Sherwood green metallic this autumn. We’re confident they won’t be around for long. The fact that John Frusciante once saved his 1962 Fender Stratocaster from a burning building should give you a good idea of just how much the Red Hot Chili Peppers guitarist cherishes this instrument. Mind you, there were a few major changes that Fender made to the Stratocaster in 1962 that ensured any instrument created before the alterations were instantly iconic. From March 1962 onwards, the brand decided to rubber stamp the neck date onto the guitar instead of etching it in a ‘pencilled’ style. Fender had gone back to the drawing board in October 1962, when it replaced the rosewood fingerboard with a veneer alternative that was thinner in design. Show an American rock music fan a 1964 JB Hutton Montgomery Ward Airline guitar and you shouldn’t be surprised if they instantly mention Jack White or start humming the tune to The White Stripes’ Seven Nation Army. 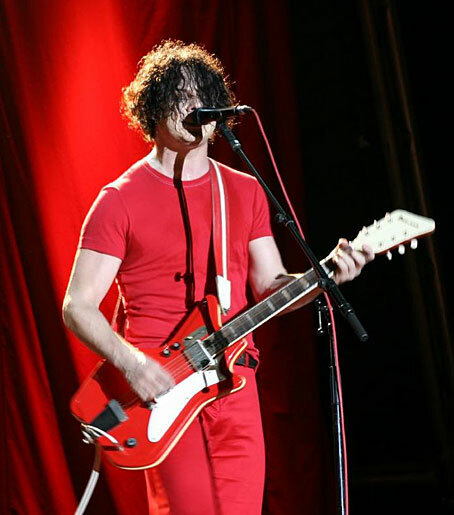 After all, the instrument, with its fibreglass-moulded, bright-red design, was used by Jack during The White Stripes reign over the music charts. If you are wondering how a guitar created using fibreglass worked, the whole arrangement came together by a thin piece of maple being fitted down the middle of the instrument. The Three-String Trance Wonder is an obscure instrument that Steven Gene Wold — better known in the music world as Seasick Steve — has somehow managed to make excellent music with. Based on a Fender Coronado, the guitar catches the eye by only having three strings to strum; well, the clue is in the title! 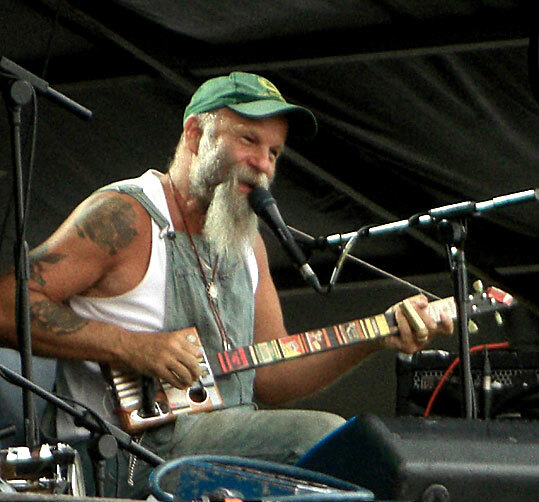 In an ingenious move, Seasick Steve makes the Three-String Trance Wonder work by putting an E string in the A position of a standard guitar and tuning it to G, G and B. A G string is then put into the B position and a D string sits in the G position. His success as an American blues musician is proof that the concept definitely works. Zakk Wylde’s Les Paul Bullseye guitar is just as astonishing as the Black Label Society guitarist, who is known for being one of music’s most fierce lead players. Everything from the guitar’s stopbar tailpiece and Nashville Tune-o-matic bridge have been etched in a rich gold finish. If these features don’t catch the eye, the three-piece maple neck, pearl block inlays along the fingerboard and black and white bullseye colour scheme will.